“How do I boost my website and social media SEO rankings to gain more patient leads?” Doctors, medical directors, and clinic owners ask this question time and time again. These physicians know that a bulk of potential patients (approximately 70% of them!) will check online before even contacting their clinic; however, the problem is, how do they funnel these potential prospects to their website? As a clinic owner, you probably know how challenging it can be to do your job and run a business simultaneously. Keeping on top of marketing trends, online strategies and tactics might require a bit of outside assistance. But before you sign on with any marketing consultant or partner, there are some key points you need to know about SEO for doctors and medical practices. SEO stands for “search engine optimization.” In a nutshell, it is the process and activity of increasing a website or webpage’s visibility on a search engine’s unpaid results. This is what marketers refer to as “organic” or “earned” traffic. There are several ways to improve SEO – Moz has compiled a comprehensive guide on SEO for beginners here. Increasing SEO rankings does not happen with a click of a button or a wave of a wand. There are some lucky individuals who have hit the fast track with SEO, but generally, increasing SEO rankings is a time-consuming, meandering process that can actually cost quite a bit of money. Regardless of whether you’re a new clinic that is just starting to build an online presence, or an existing clinic that needs an online facelift, SEO can be a slow progression. Those looking toward SEO to get quick results will be disappointed. SEO requires you to understand your target audience and the fundamental aspects of website design, usability, content, and experience. Not to mention the more nuanced aspects of keyword research, links, meta descriptions, and tags. And even once you have mastered all these components, putting SEO into place still requires more time and effort. Optimizing web pages for search engines requires continual monitoring of analytics and making adjustments for success – this is why it is so time-consuming. Some of the above strategies utilize SEO practices, but not all of them. It’s your responsibility as the clinic owner to ensure these strategies get put into place. 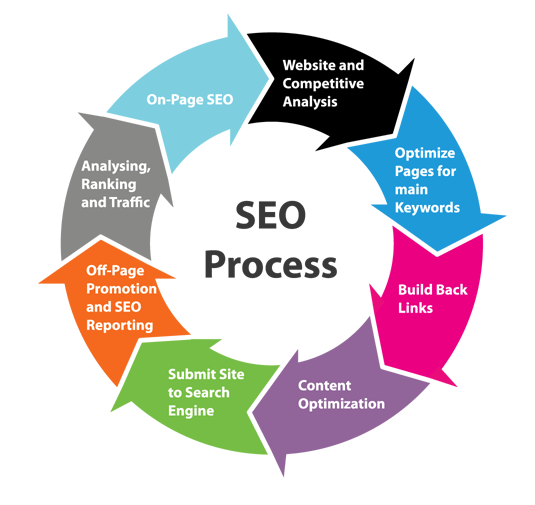 SEO is merely a complementing process to these core tactics. “Content is king.” This is a well-known mantra in the marketing community, and with good reason. Content will be the key force in engaging your patients over time. If you’re going to put effort into creating a killer SEO plan, focus on creating original and regular content. You want to be creating content on a regular basis to demonstrate your expertise. Patients want to hear your side of the story of the latest medical trends or research. They want to know that you’re on top of the more recent news. Content may be created in the form of blogs, social media posts, videos, and infographics. From the backend of your content creation, you can begin to create an SEO optimized web page. With all that said, I don’t want to undermine the potential of SEO. Given the right circumstances, the right market, and the right SEO practices, SEO can bring about fantastic results – it’s just not always ideal. For the longevity and stability of your practice, you’re better off looking at strategies that are cost-efficient, timely and reliable. If you’re struggling to hone your marketing strategy, struggle no further. My team and I will work with you one-on-one to create a marketing plan that works. We’ll build your expert status and authority, increase your traffic, and ensure that you’re closing leads. Ready to grow your practice and take it to the next level? Call invigoMEDIA at 1.844.ROI.GUYS. Bob Mangat has over 12 years of experience developing businesses from the ground up.